Right now my twins are in their cribs sleeping for the night and I’m in my office updating my blog. I’m able to dedicate 1-2 hours after they sleep to work on building my brand as a freelance writer. Being a mom to two year old twins while trying to make it as a freelance writer is no easy feat. Even though I have been doing this for a short time, I can say with assurance that freelance writing is the way to go for me and my family. He laughed at me and told me that there are many freelance jobs available like blogging or writing articles. I couldn’t imagine making money off blogging or even writing articles. My husband, an entrepreneur who runs his own e-Commerace business, had me write fluff articles for his business, many years ago on a range of topics like allergies, pet products, back to school ideas and baby items. I remember writing quick 300 word articles on What Color Should you Paint Your Nursery? or Do Seasonal Allergies Ruin Your Day? I stopped writing for him because it didn’t interest me at the time nor did I feel like I was making it as a writer. I was just helping out my husband after work and on the weekends. That’s what I thought freelance writing was when he mentioned it 1 year after I had my twins. A moonlighting job just to earn some quick money. Mommy Brain was Ruining My Mind! I always imagined being a mom to be a wonderful experience where you play and have fun all day with your child. You have a restful night, wake up to a happy chatter bug and spend the morning having fun. Mealtimes were no problem, she will eat anything you give her. Need to do a few chores? No problem, here, play with your doll house while mommy cleans the bathroom. Time for arts and crafts! Let’s make a fishbowl and glue fishy crackers on it! Yay! Rainbows and unicorns every day! Time for bed, nighty-night! I honestly thought this. I never knew having children would be difficult and all consuming. I also never envisioned having twins, but I was fortunate enough and blessed with a beautiful boy and girl almost two years ago. I’m also fortunate enough to stay at home and raise them with family nearby to help and a husband that works from home to call on when I need a hand. When the twins were around 15 months old, I felt I finally had a grasp on what I was doing. I didn’t need as much help from my husband or family members and I developed a routine that was working. The only thing that bothered me was my lack of adult interaction. I barely talked to other people that weren’t moms about other things that didn’t include our children. At that time, though, I wouldn’t have been able to have a coherent adult conversation on let’s say the rise of gas prices. I was suffering from mommy brain. All I thought about were things like how to get my twins to sleep better, how to get my picky eaters to eat something besides toast and fruit, and why won’t they nap more than 60 minutes at a time. I loved my children, but I needed to get out of Mommyland and into BigAdultLand. The only problem was day care for two toddlers is expensive and I couldn’t bear to be separated from them for more than 4 hours. Actually, I couldn’t let someone else take care of them since I’m a huge control freak. I knew I didn’t want to go back to work as a Special Education teacher at an elementary school, but I also craved grown-up interactions. So I decided to pursue writing. I created Innovative Ink and worked on writing my website content. Not all of them are moms, but I liked their style of writing, how they branded themselves in their niche, and how they developed their social presence online. 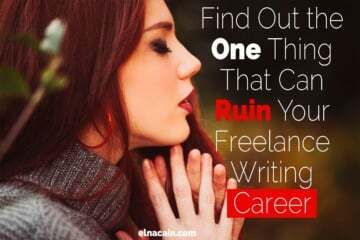 I also read freelance writing websites as a way to learn more about this niche and how to be a better freelance writer. Take a look at some of them! I can adjust my schedule to squeeze in writing before my children wake up, during their naps and after they go down for the night. I can also write when I have child care for a few hours a day. I can still do the daily house chores and run errands when necessary. Are you thinking about doing some freelance work? Maybe you like to write or like reading blogs. Freelance writing gives you the opportunity to write articles, blogs, site content, press releases, product reviews and just about anything that companies might need written. 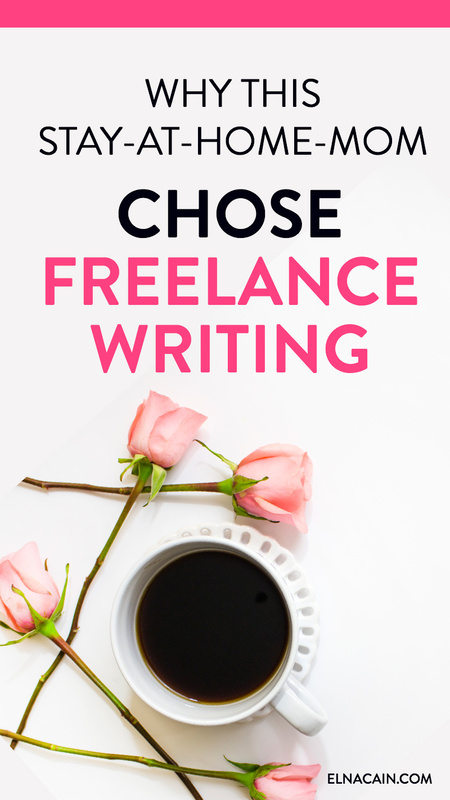 If you need help launching your successful freelance writing business, my course Write Your Way to Your First $1k walks you step-by-step and uses my proven strategy. 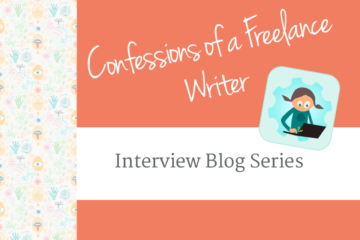 Are you a freelance writer and a mom? How do you manage to write and take care of your children? Share your story here! You can get started with a few hours a day and on the weekend. Set some goals and stick to it. I would maximize my time online by having tasks and metrics to go with it! Good luck! Great post! I’ve read a couple of your articles online, and really enjoy your style. I have 6-year old twin boys and a 7-year old daughter, so I can totally relate to you. Thanks so much for the post! Just wanted to pop in and say keep it up! 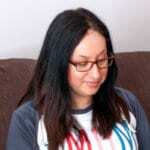 Awesome blogpost, I am exactly there with my 3 month old, but while I do want to write, my passion is in business planning, so I’d like for the bulk of my writing jobs to be writing business plans. Any tips besides those online freelance sites? Most of my writing is blog writing or lead magnets, so not sure where to find business plan freelance work. I would just do some warm pitching and check out job boards! Thank you so much! Yes, my twins are still with me (no daycare) and will be four next month! They will be going to school this year and although I am excited at the extra time to grow my biz, I’m going to miss them so much! 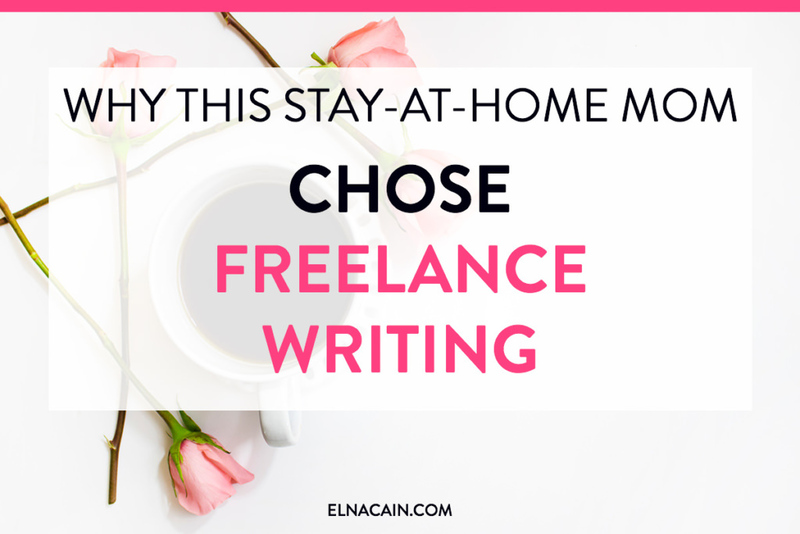 If you decide to do freelance writing, I have a lot of free resources! I’m commenting on the back of your – set yourself up on Gravatar and leave a comment on my blog 😉 But seriously, I’m taking steps to set myself up as a freelance writer and found your blog, which looks incredible. I look forward to reading and learning more from you. Thanks so much. I’m here to help you and enjoy your magazine writing course! Whose course is that? That’s awesome! Enjoy the course and feel free to hit me up if you have a question! I loved reading your post and I can totally relate. I remember waking up in the middle of the night to use the bathroom and first thing that came to my mind when I got up was: “A is for apple, a-a-a, B is for ball, b-b-b”, and so on. After I had my second baby and when he turned one, I decided to dedicate as much time as I could to blogging and freelance writing because I needed to organize my thoughts and do something for myself. I love my children and I am grateful for being able to stay at home and watch them grow. Thank you for this amazing article and brilliant advice. I’m glad I found your blog! I look forward to more amazing posts! That’s an awful lot of hats to wear simultaneously Elna!LOL! And you do it extremely well! I love your term “Mommy brain” BTW!LOL! That really seems to sum things up! successful entrepreneurs, such as yourself. It’s only after they got started and began developing some steady forward momentum, did they sort of stumble upon their true specialty and passion! Nice job!Thanks so much for sharing some of your real world experiences! Glad you enjoy my blog and commenting on my posts. Working as a mom with twins is hard. But, I want to be able to stay home and raise my twins. Both my husband and I stay home and work while taking care of the children and house. It’s a lot of work, but we wouldn’t trade it for the world!